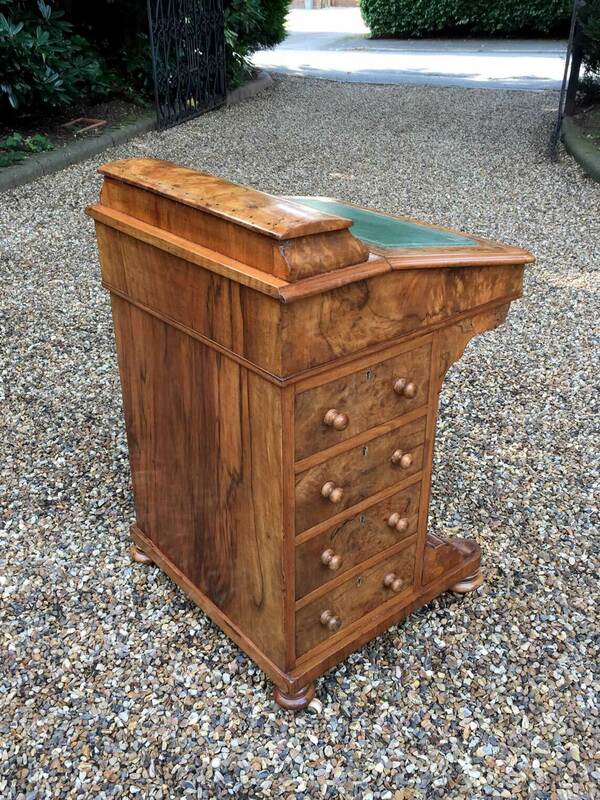 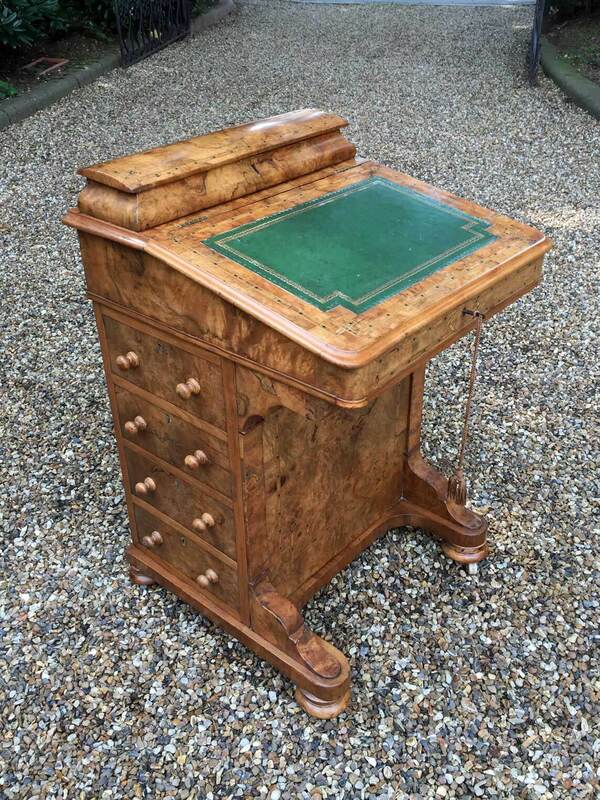 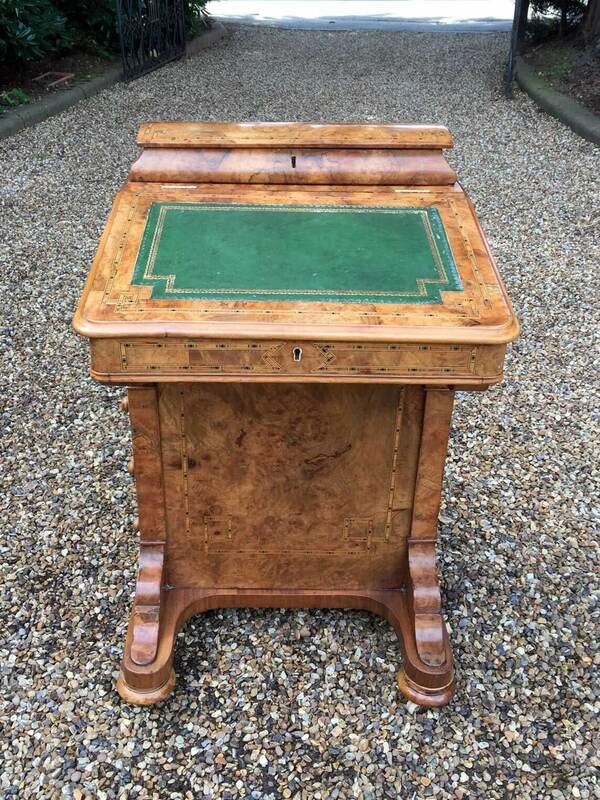 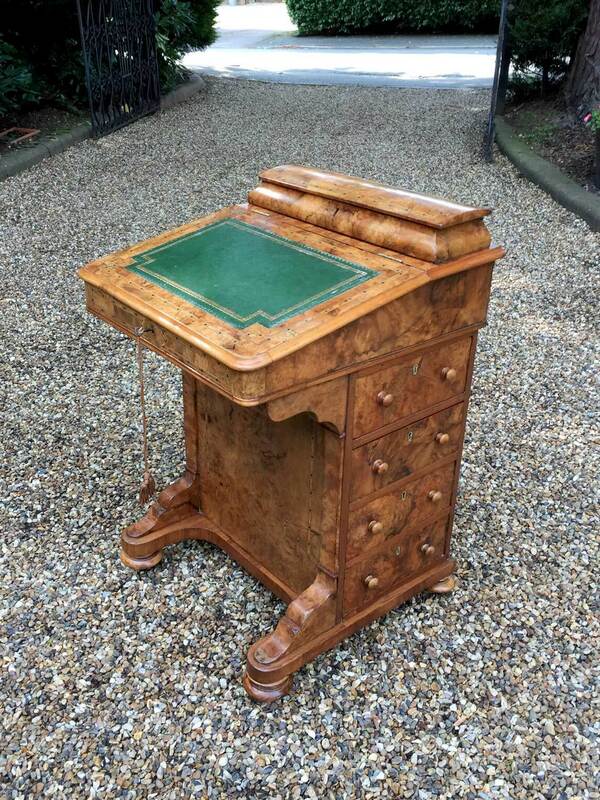 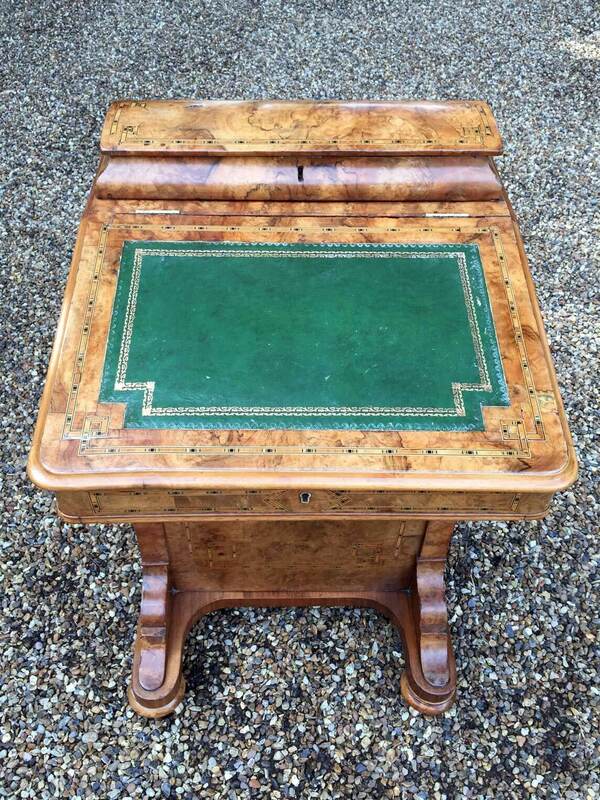 19th Century Victorian Burr Walnut Inlaid Davenport on a sloping green leather writing surface and key. 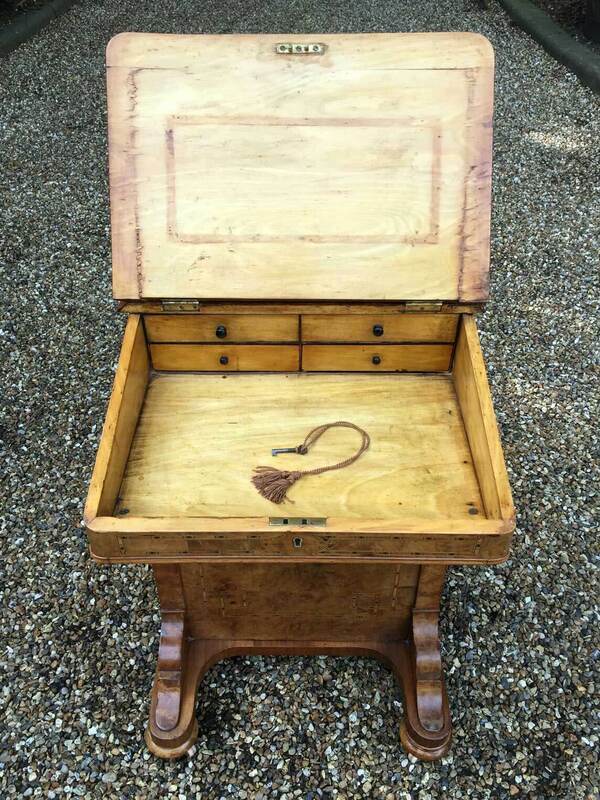 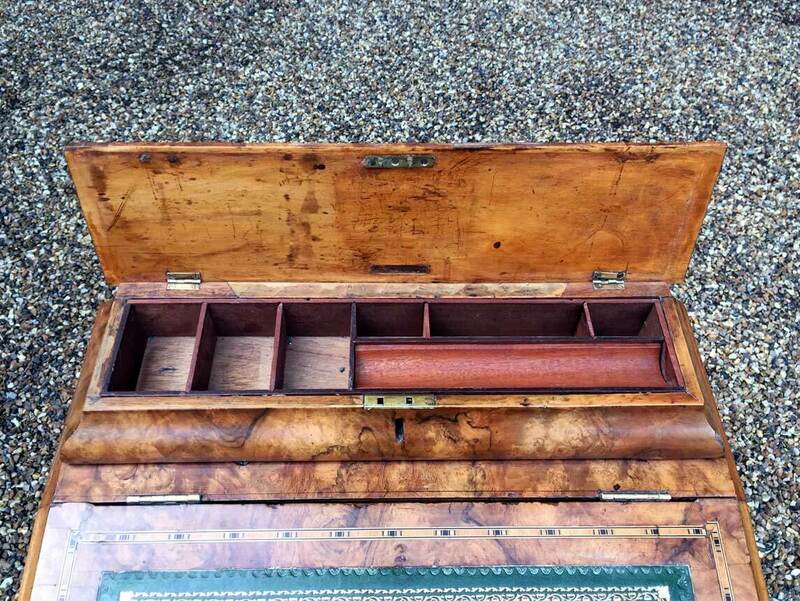 Satinwood interior inside with two drawers and original letter racks and a pen tray compartments inside the lift up top. 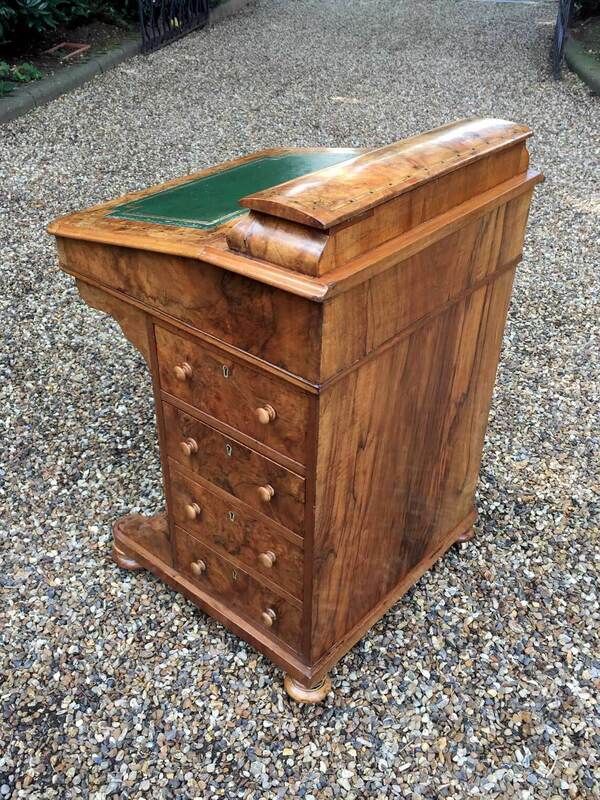 The right hand side of the desk has 4 drawers and to the left hand side there are 4 dummy drawers, all with turned wooden knobs. 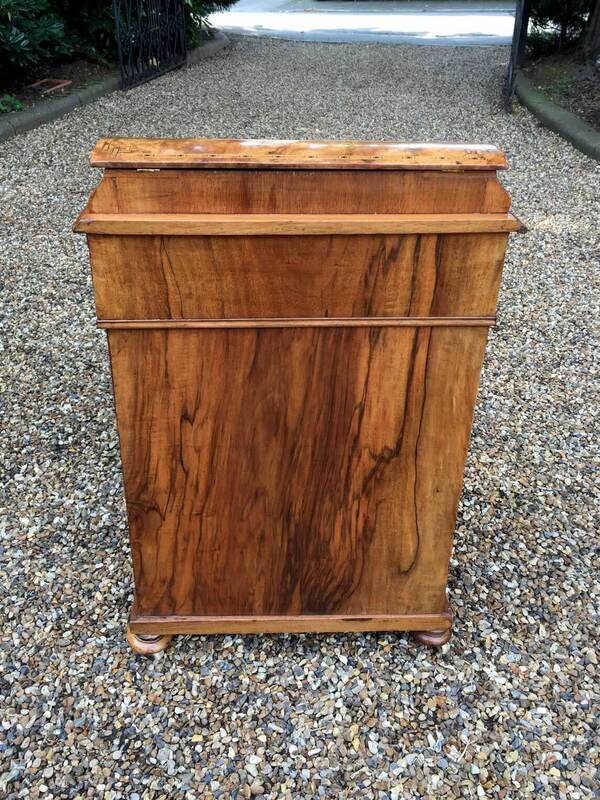 The desk stands on a plinth with white china castors.